The Board took a close look at the Group’s finances and based on the report of the external auditors, it was obvious that the Group’s finances over the last year were well managed. Staff salaries, mission per diem, rents and hosting costs were paid on time. This management style has helped to make the Group credible and reliable in the eyes of its business partners. Regarding performance, Board members were fully satisfied with the outputs. They pointed out that the timeliness of information and the quality of documents and papers produced have helped to make Cameroon Concord News Group a huge and reliable source of information on Cameroon for embassies, international organizations, human rights groups and Non-Governmental Organizations. The Board also focused on the funding document presented by the Group Chairman, Mr. Soter Tarh Agbaw-Ebai. The document outlined new avenues for raising funds. It also indicated that the Group had renewed corporation ties with its existing funding partners whose efforts have helped the Group to effectively and efficiently run its various online news platforms. Therefore, the Board is hereby informing the public that it has renewed its confidence in Group Chairman, Soter Agbaw-Ebai, based on the management of resources and the production of quality news that meets global standards. The Board would like to use this medium to congratulate Mr. Agbaw-Ebai and his staff for a job well done. 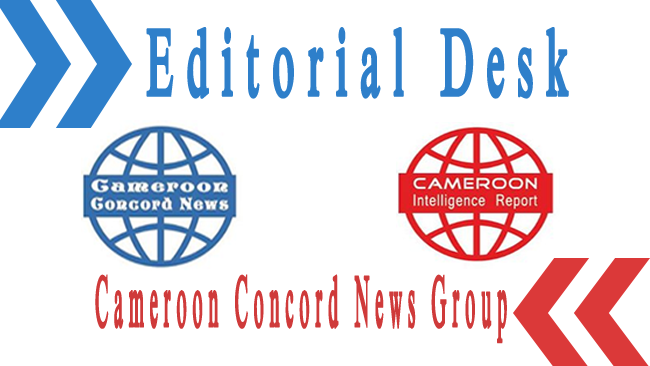 The Board is also urging the Group Chairman and his staff to continue delivering so that Cameroon Concord News and Cameroon Intelligence Report will remain Cameroon’s leading online news platforms. Board Chairman, Cameroon Concord News Group.